This step-by-step guide aims to teach home decor enthusiasts how to create stunning DIY bookends using your favorite animals. This simple yet proven method will give you the confidence you need to to make DIY bookends for kids and even toy soldier bookends if you prefer. 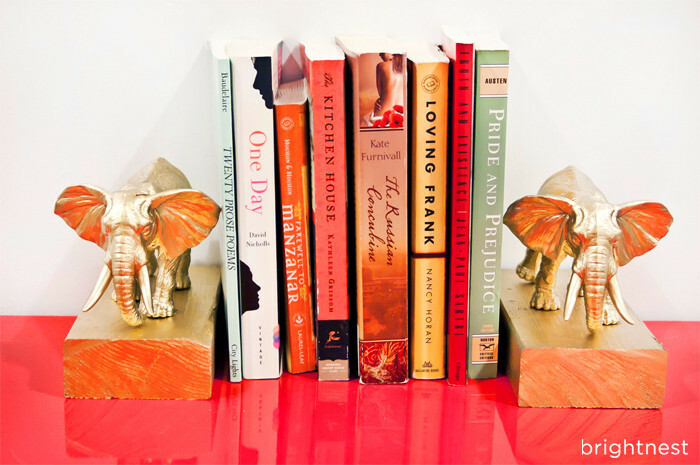 DIY Bookends are must-have bookshelf piece. 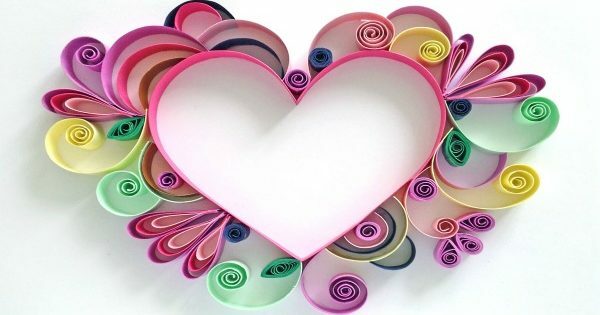 These timeless creations should be part of your home décor and what’s better than customizing your own homemade bookends? Recently, here at Crafting News we have realized that having a beautifully crafted timber bookshelf in your living room or dining room is a quick way of fast-tracking its way back into top home decor trends. It does, however, require some designing skills to be able to put together a classic bookshelf that flows well with your home’s Feng shui. It would be impractical to fill your home bookshelf with books, you are not running a school or public library after all. Too many books, not enough books, or photo frames? What exactly do you put on a bookshelf? This is a delicate balance to achieve to get your bookshelf looking great. It is widely accepted that the secret to achieving a fantastic looking DIY bookshelf lies in the choice of items you decide to place on it. 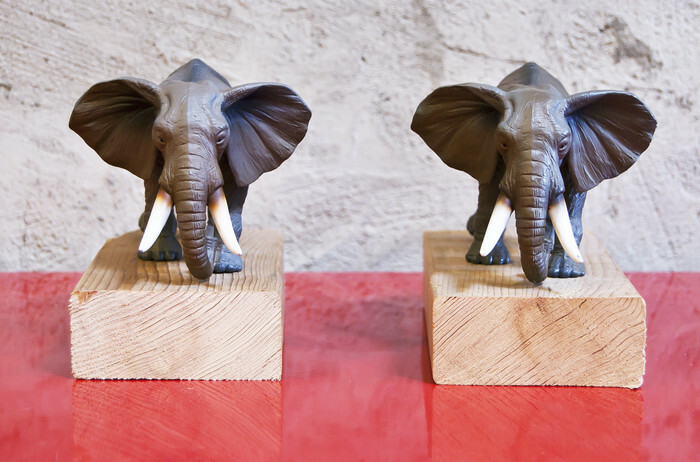 These easy DIY animal bookends are just the perfect accompaniment to your home bookshelf. They not only look elegant and chic but can also be personalized to feature your favorite animals. Thanks to Brightnest for this tutorial. Or if you prefer your favourite animals or dinosaurs in half, then check out our previous children’s bookends post. 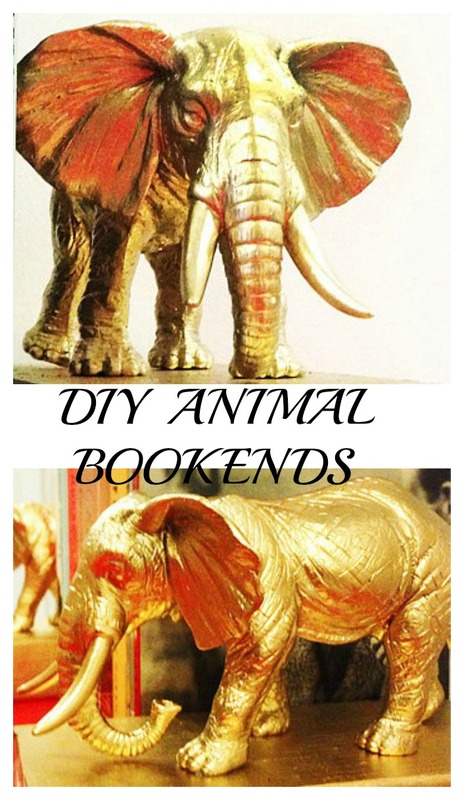 To get started on your DIY animal bookends, you need to have gathered the following materials. Paint, in your preferred colors. We generally recommend that when you are choosing your blocks of wood alongside your two toy animals, consider their respective weights. The heavier both items are, the sturdier the finished decorative bookends will be. However, if you can’t find heavy-enough animals or toys, you can use heavy hardwood. Be sure to talk to your local hardware store or timber yard about what choices of wood are available. More often than not, you will find suitable blocks of wood to use in projects such as these. Be sure to ask if they have some off cuts of the sizes you need, you may be able to get them for free. After asking your local timber yard or hardware store about some heavy hardwood, ask them to cut the wood pieces to suitable sizes for you. Before you commence putting together the DIY bookends, note that the size of the wood you use should correctly match the size of the animals you decide to use and also on the size of your bookshelf. So make sure that you take correct measurements before getting the wooden blocks cut. For the method, I had my 3-year-old niece helping me and boy does she love her wild animals! It was a real pleasure crafting kids bookends just for her especially since her favorite activity is reading. To begin with, my niece and I sanded the edges of the wooden blocks to ensure that they were not sharp. Afterwards, I painted the wooden blocks and two of my niece’s toy animals in her favorite colors. I highly recommend that you use Rust-Oleum Metallic Spray Paint. You can also paint the wood and animals using regular acrylic paint if you fancy painting with a brush. To be safe, however, handle the spraying yourself and leave the lighter tasks to your little helper. I left the wood pieces and animals to dry and afterwards applied a second coat of paint. I let the second paint coat to dry overnight. Once the paint was fully dry, the next task was to glue the wood pieces and the animals together. We glued together the wood pieces and they stuck together beautifully. For the last part, I helped my niece to place some glue on every toy surface that would be in contact with the blocks of wood. This means the feet of the buffalo toy pieces we used. She pressed down firmly and once stuck, we left them to dry for 24 hours ensuring the glue cured properly. Once done, my niece couldn’t wait to put the DIY bookends with personalized animals on display in her room. The animal bookends DIY sure looked amazing and I made sure to get her some more books. I reckon the whole process wasn’t too hectic and I should probably make more of these DIY bookends. I’m thinking giraffes in place of the buffaloes this time or elephants perhaps.